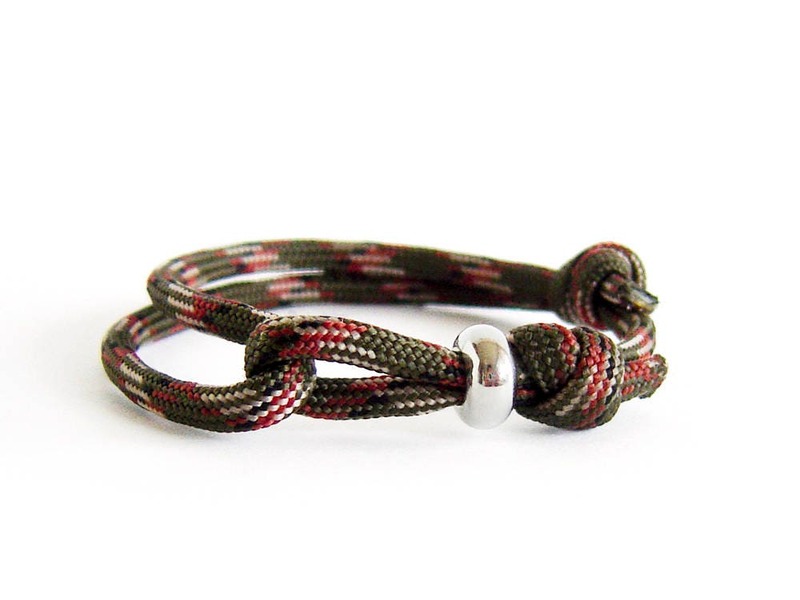 A rock climbing jewelry bracelet of paracord rope and a bead. 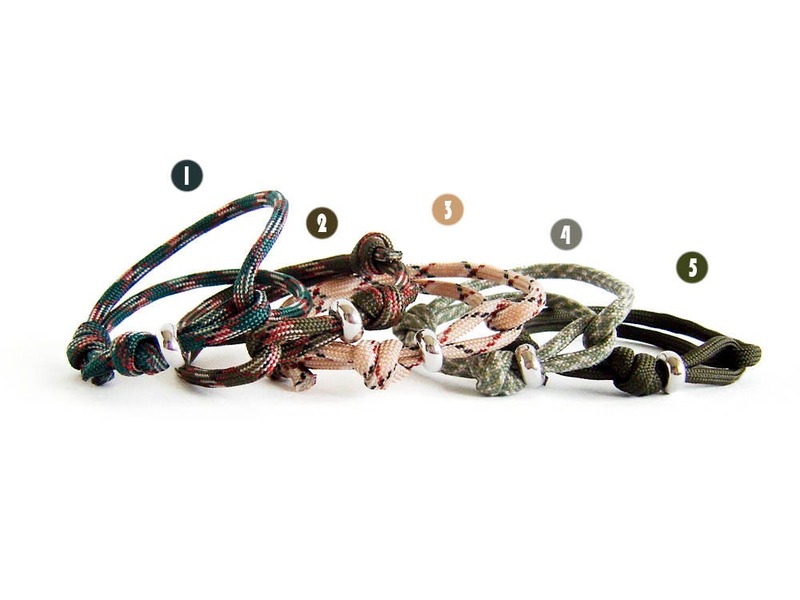 This one is best gift for woodland jewelry lovers. 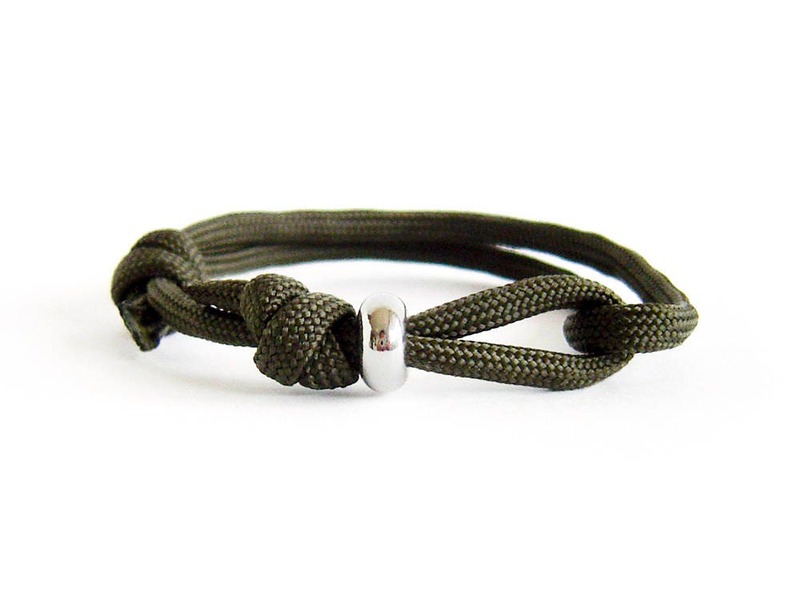 The paracord bracelet (men suitable too) is knotted of a dark gamma ropes and an zinc alloy bead in silver color. 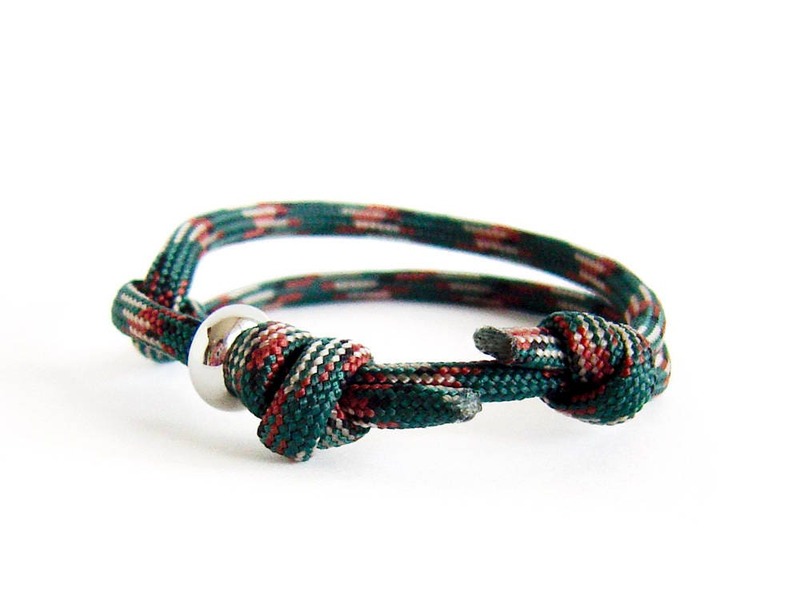 It is adjustable. 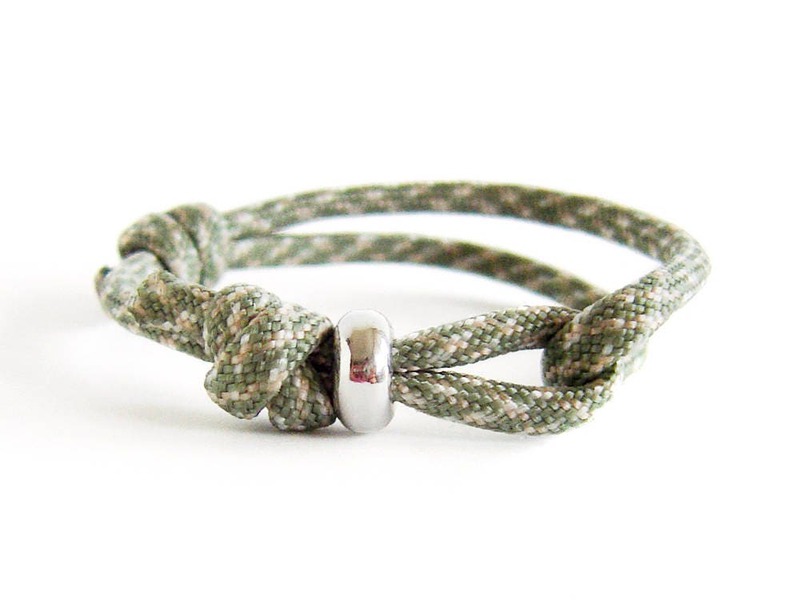 You can adjust the diameter of this woodland bracelet when you slide the knot. So it can be used of men and women also. One size fits all. 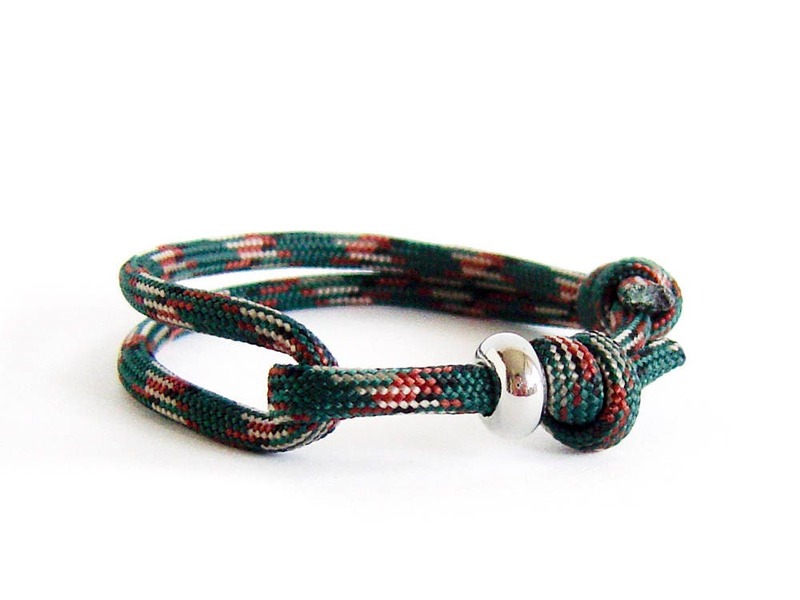 * minimum circumference - 14 cm (5 1/2"). * max - 26 cm (10 1/4"). 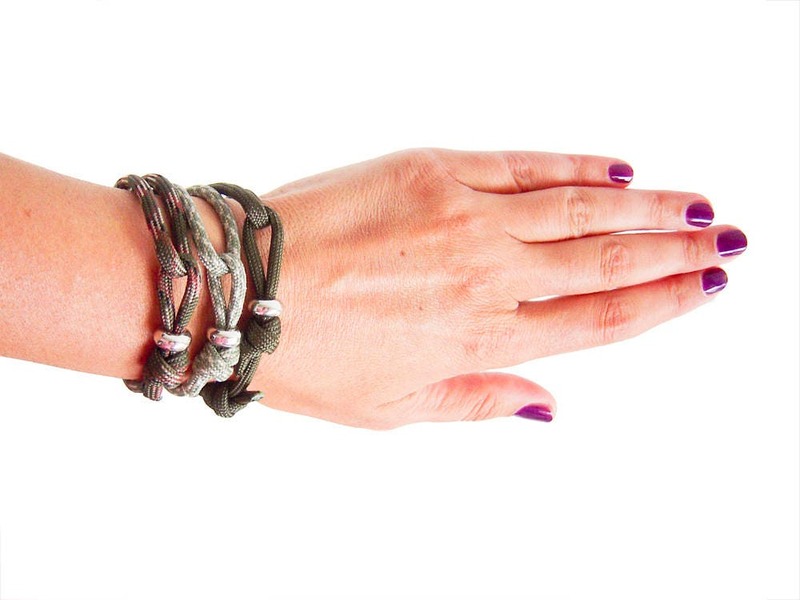 If you order, you will get the woodland bracelet from the pictures. 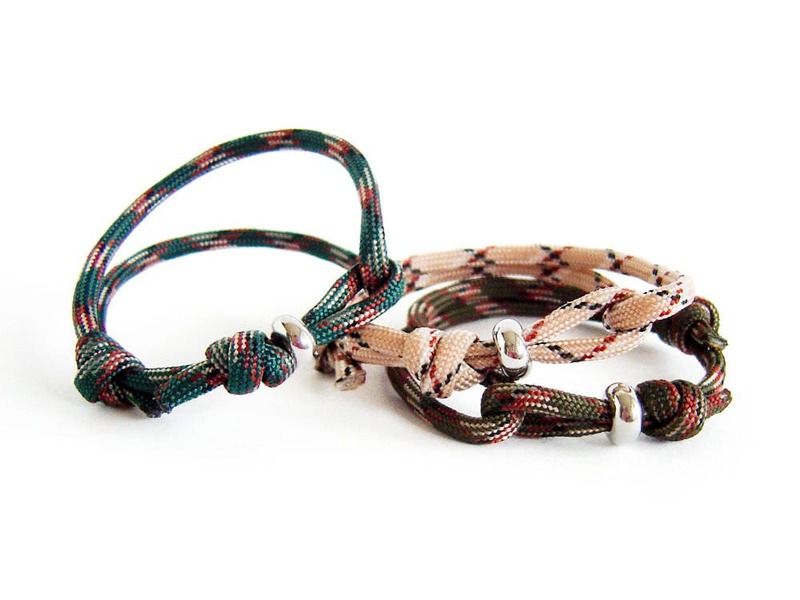 You can purchase this paracord bracelet men / women gift wrapped. 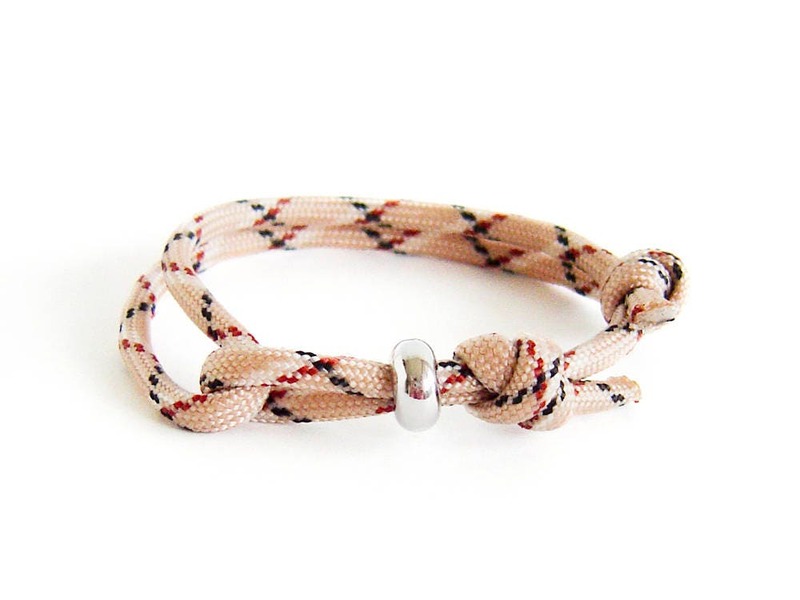 It is nice suggestion for nice for dad birthday gift. 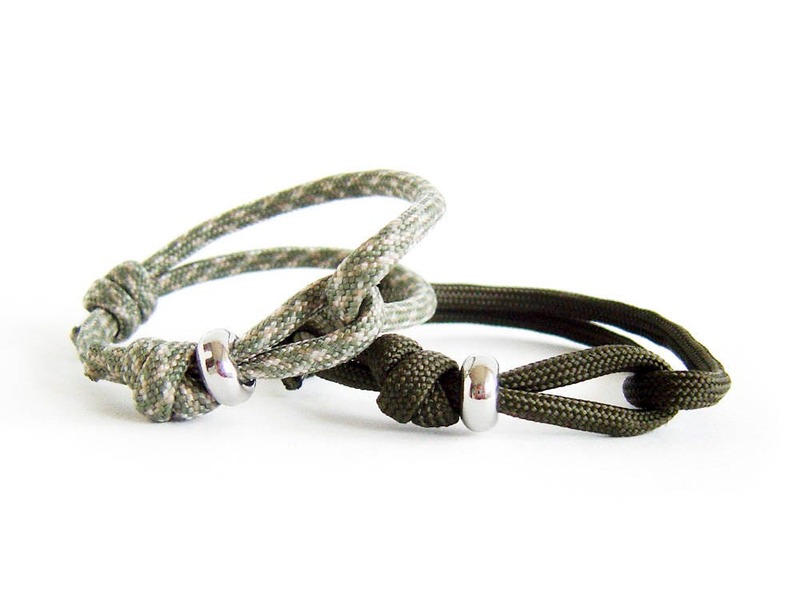 Nadamlada's rock climb shop with reach mens bracelet and mountain bracelet of ropes collection.